Sign up to get the latest news and information about our work in the community. 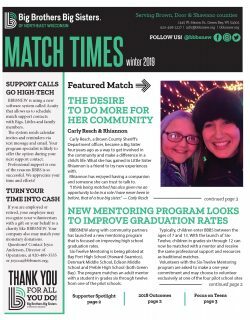 Print newsletters — Quarterly for volunteers and families, and semi-annual for supporters. Email joyw@bbbsnew.org to be added to the list. 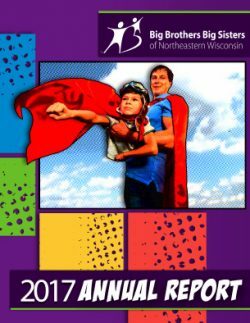 If you would like a copy of Big Brothers Big Sisters of Northeast Wisconsin’s Financial Audits or Form 990 mailed to you, please contact joycea@bbbsnew.org. 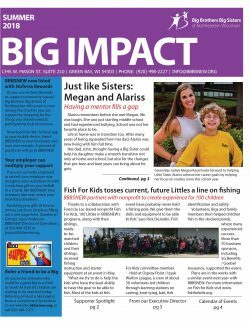 If you would like a copy of Big Brothers Big Sisters of America’s Financial Audits or Form 990, please go to www.bbbs.org/financial. Click on the icons below or search your favorite platform for @bbbsnew and @bbbsDoorCounty.